Colleen Mary Parlatore, the beloved wife of Colonel Carl Pio Parlatore, United States Air Force (retired), the mother of Christine Parlatore Clingerman and Matthew Carl Parlatore, the daughter of Lieutenant Colonel Richard A. and Eileen Pelleriti, United States Air Force (retired), the sister of Richard Pelleriti, and the grandmother of Heather Clingerman. Colleen was in the Air Force most of her life even though she was not in the Air Force. Her father was a B-17 pilot during World War II and served his country honorably for 28 years. While attending the University of Miami she met Carl at Homestead Air force Base. 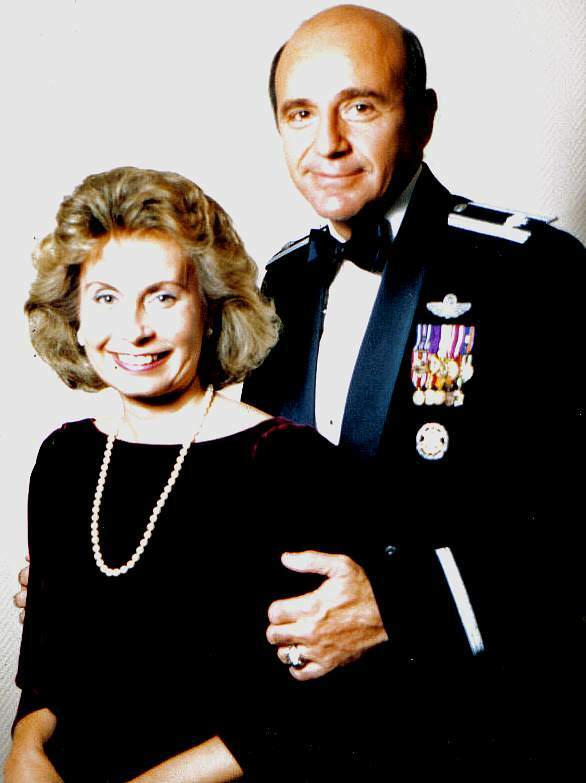 After a world wind courtship Colleen married Carl on 9 October 1971 in a military wedding at Homestead Air Force Base, Florida. Colleen and Carl traveled the world over, all the time caring for her husband and children in many a god forsaken place – never complaining. If Carl had any success in his military career it was because of the support he got from Colleen. Even when she was suffering from Cancer she supported her family up until her last moments. There are a lot of unsung heroes buried at Arlington National Cemetery – Colleen Mary is one of them.